This was LITERALLY the best day EVER! I love driving to Russell County, on the parkway, it's a straight shot so there is plenty of time to jam to good music to get me pumped up for the session i'm about to have. I used to be terrified of shooting when the sun was completely out and I knew there wasn't going to be shade but recently, I've learned to master that scenario and I've fell so in love with the colors of the blue sky and especially on Lake Cumberland. 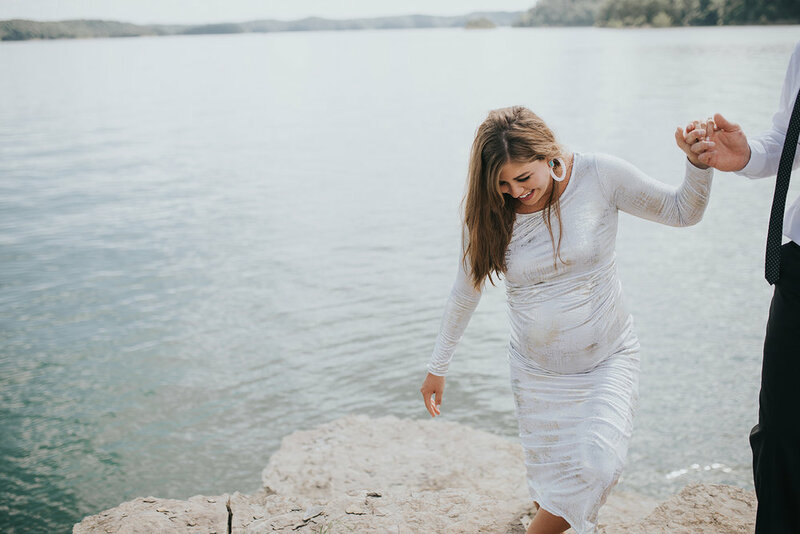 So when Natalie reached out to me about three weeks ago to schedule her maternity session at the state dock in the morning, I was soooooooooooo ecstatic (I feel like I say that every blog post, but come on guys, it's hard to not love my job). So Natalie and Thomas are from West Virginia and Natalie has been visiting Lake Cumberland for the past decade at least. They spent the 4th of July here this year so it was the perfect opportunity for her maternity photos as she is due in August. We hopped on their pontoon and rode out to some pretty cool places. Ok, guys, before I die, I am going to own a boat because it was so fun! 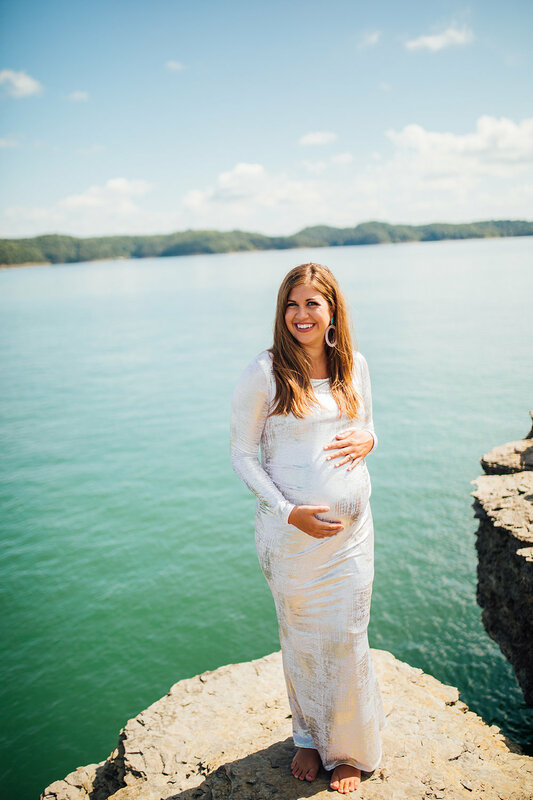 There is nothing like feeling the wind in your hair under those baby blue skies and just taking in the breathtaking views of Lake Cumberland. It's honestly kind of sad how much we take advantage of the lake when we live right here. Lake Cumberland is HUGE, really, have you ever looked at a map and realized just how big it is? I never in my life would have imagined. 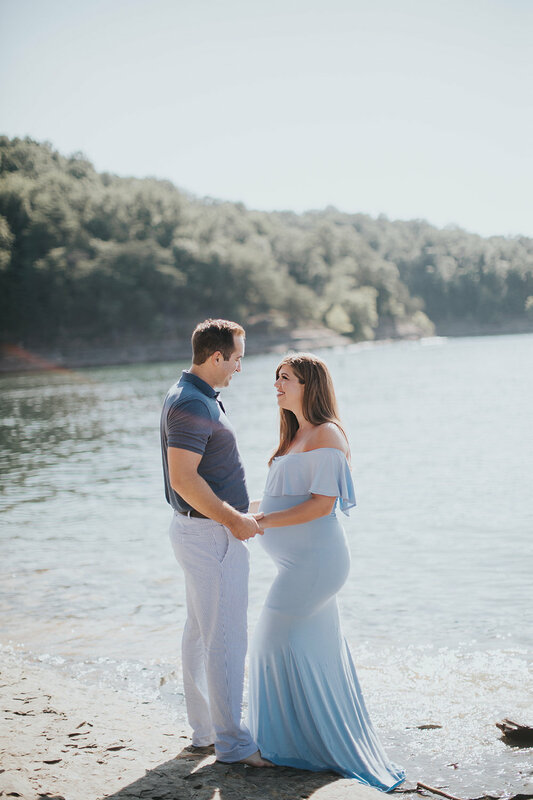 So now that I've talked your head off and told you about how much I adore these two, go ahead and scroll my personal favorites from their maternity session!